European Commissioner for Industry El?bieta Bie?kowska increased the pressure on Volkswagen to compensate European consumers, as it has done for US drivers, for its diesel emissions scandal, potentially adding to a hefty bill. Volkswagen has been mired in scandal since September when it admitted it had cheated US tests by using software known as “defeat devices” to mask nitrogen oxide emissions. In the United States, Volkswagen Group of America has promised goodwill compensation worth $1,000 (€917) each to tens of thousands of vehicle owners. But in Europe, VW officials have said they will repair vehicles to remove illegal software, but have no plans to pay consumers compensation, arguing they have suffered no loss. Europe’s Industry Commissioner El?bieta Bie?kowska, who has had a series of meetings with VW and will meet Chief Executive Matthias Müller in Brussels on Thursday (21 January), wrote to him last week with a list of demands. High on the list is that the estimated 8.5 million European owners of VW cars fitted with defeat devices, out of 11 million worldwide, should be compensated. 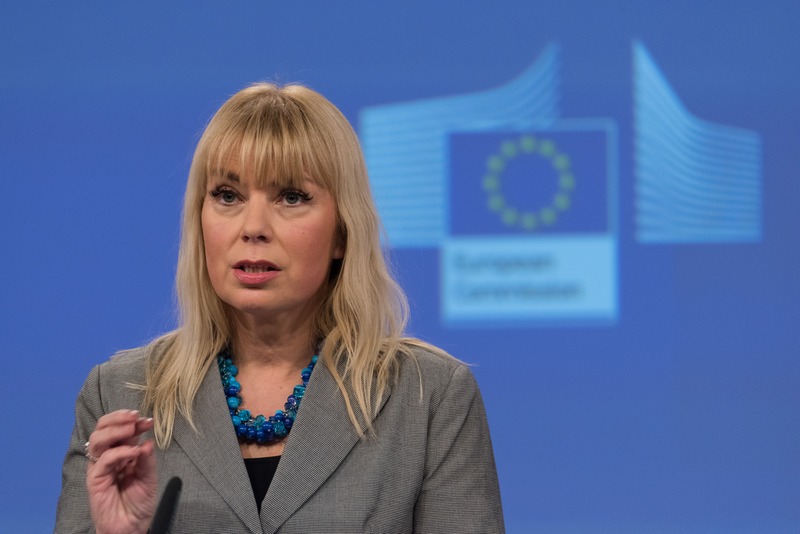 “I would like to ask you to reconsider your stance regarding compensation and reflect on the ways to offer compensation also to the European consumers,” Bie?kowska, Poland’s representative in the Juncker Commission, said in the letter seen by Reuters. The EU executive can apply only moral and political pressure in a very different legal framework from the United States. “The issue of compensation goes beyond the difference in the legal set-up between the U.S. and the EU and plays a fundamental role in viewing VW as a responsible and trustworthy company,” Bie?kowska writes.